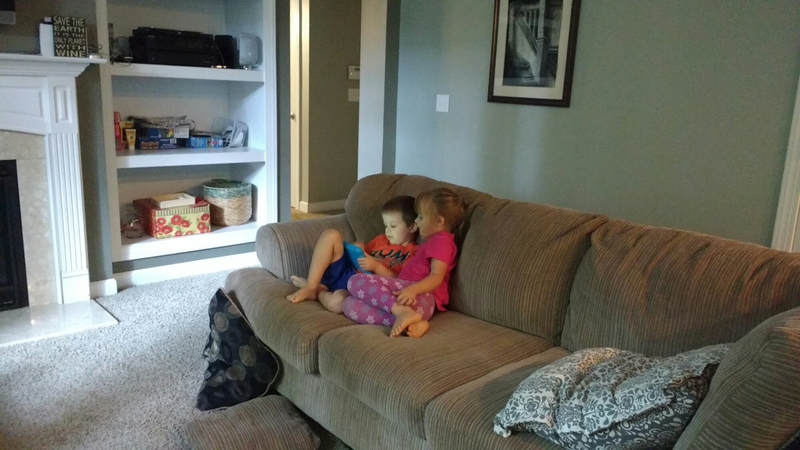 Henry and Eleanor each have a Kindle Fire (kids edition). We got these in anticipation of Grant being born, since they would get less attention, at least at first. We weren’t super into the idea of getting them their own tablets at 4.5, but it’s been a few months now, and I don’t have many complaints. 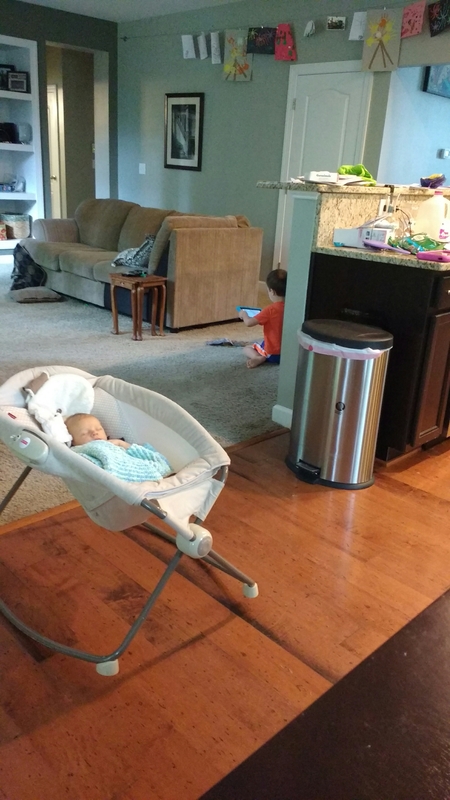 They play games together mostly – crowding onto one tablet – and will often turn it off long before their time is up (you can set all sorts of parental controls) to do imaginative play based on the apps they’ve played. Today I realized that the tablets have native cameras – I mean, I knew it, because they have games that use cameras (hello, Daniel Tiger), but it didn’t occur to me that they’d have their own photo albums on the tablet. Today, Henry showed me his photo album. It’s mostly his Lego creations and pages from the Lego catalog of sets he likes, but also some of Eleanor, and several of Grant. He stood back and took one of me, too. My sweet boy! Ooohhh we have little headphones for them, made for kids so the decibels don’t go up too high – but that’s the extent that they do.